only Middle School races will be able to enter the complex. The Brooks Twilight 5K Cross Country race is this Saturday. It's like in October when you start seeing the pumpkins show up in the grocery stores, you know Halloween is just around the corner. Well, you know that when the Brooks Twilight is on the horizon, you know the cross country season is here in the Memphis area! In 2003, Coach Bill Hoffman and the Christian Brothers University started this race with only about 250 or so athletes attending. Since that time, the race has grown in popularity, grown in prestige, and become one of the must have races on any athletes resume. We'll see over 3,000 athletes compete Saturday in the Middle school division, JV and Varsity High school divisions, and the college men and women's divisions. The course is on the Mike Rose soccer complex and so has a few hills that are somewhat short and steep, but overall is a racer friendly course. And by the way, it's an exceptionally spectator friendly course with several key areas that are really great to watch the athletes pass. I particularly like the first sharp left turn just down the hill from the start - it's a brutal steep left turn that has to be managed correctly or disaster could follow! In 2014 Felicity Bost ran the girls middle school race here and in 2015 Silas Winders competed in the middle school category as well. Both these athletes set the middle school records in those respective years. Now, both are older and are entered in the Varsity races here at the Brooks Twilight this year. 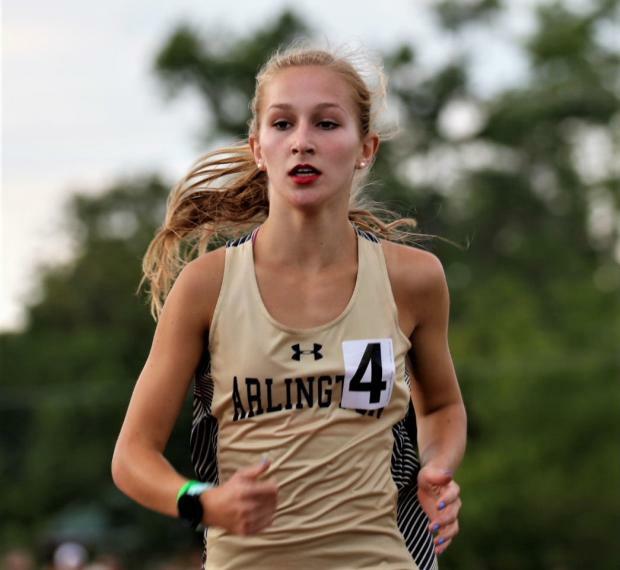 Felicity comes into the meet for the Houston High TN team as a budding freshman with a very impressive resume that includes a 5:09 race in the 1600 this past July. I would keep an eye out for this young athlete at this race and in her future races, she's sure to impress. Silas, the Henry County Sophomore, comes into this meet having a few pretty strong races under his belt as well. He just ran a 15:48.95 at the Voyles Classic to post the runner up finish to his brother Titus. That time is a PR for him by a good thirty or so seconds and with it being his first race of the season, certainly puts him on the watch list here Saturday night. And speaking of Silas's brother, Titus is the defending champion at this meet. 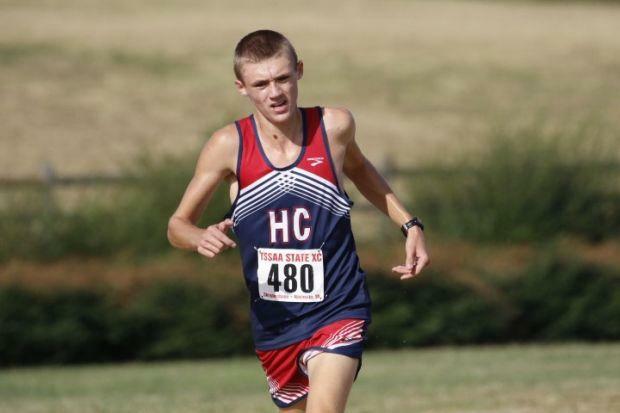 His 15:38.29 time to win at the Voyles classic last week was just shy of his PR. That PR by the way was set here at the Brooks last year when Titus impressively, and in dominant fashion, ran away with the race once he passed the first mile mark. There will be major competition here again at this meet, but Titus is one that you will have to watch. The 5K cross country event, even on this very fast course, is a very fickle event. It comes down to the athlete having everything working well the precise time the gun goes off. So anything can happen but if Titus is anywhere near the front after that first mile mark passes, I would start putting my bets on this guy to take the title. He doesn't give up and he certainly doesn't like to lose. And if his brother is on his tail, well, lace them up guys, because this is going to be exciting! But like I said, the competition here at the Brooks has always been very strong and laced with some of the best from States all around the area. Athletes from Mississippi, Missouri, Kentucky, Arkansas, Georgia, Ohio, and several other states nearby, come to this meet with an eye on the title and so it is always packed with talent. With hundreds of athletes entered in this meet for the high school varsity division, you can pretty much say anything can happen and it usually does at this meet. A few athletes from outside the TN area to keep an eye on will include the Trinity (Louisville) Kentucky team with Trevor Warren, Jacob Burnam and Jack Baum. Also entered will be Jacob McCrackin and Ben Stasney both of West Plains, Max McDaniel of Festus HS and several others that you'll need to keep an eye on. The Louisville Kentucky team looks like a very strong team this year and their top boys are ready to run down this friendly course on Saturday. Trevor Warren of Trinity (Louisville KY) is the runner up in the 2017 Kentucky State meet in the 1600 with a time of 4:19.48 which was also a PR. 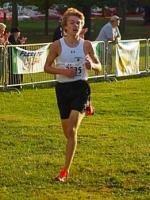 Trevor also won the Kentucky Region 4 AAA XC race last season with a 15:57.79 time. He comes into this meet after having run a new personal best of 15:28.89 at last weekend's Tiger Run in Louisville. Trevor's teammates, Jacob Burnam and Jack Baum will add to the group team has with sub 16 minute 5K marks. Jacob has a 15:45.95 time that he ran last year and Jack has a 15:53. With so many guys on this team that can clearly make top 25 performances, this should get this team close to, if not on, the top of the podium Saturday evening for sure. Jacob McCrackin and Ben Stasney of West Plains Missouri are a strong duo from this team and expect them both to be in the lead pack for most of the race and likely there at the end. 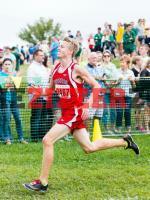 Jacob has a PR of 15:16 and is consistently fast throughout his career. And Ben has an 800 track best of 1:54 and a 5K of 15:29 that likely means if he is near you at the end, watch out for this senior's kick! Etowah (Woodstock, GA) athlete Per Ellingson joins a pretty large group of athletes setting PR's just before coming into this Brooks Twilight after running 15:52.00 at the Ridge Ferry Invitational where that time got him the runner up spot in a pretty strong field. Per has not run the Brooks before and so it will be interesting to see this senior athlete tackle this quick course. 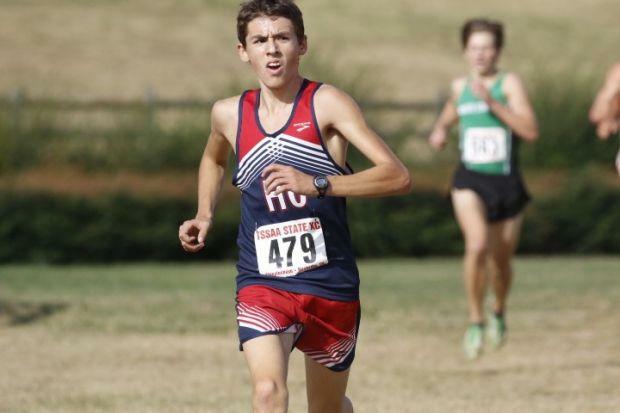 Max McDaniel of Festus High School (MO) will arrive at the meet Saturday as a top five seed with his 15:36.17 mark that he set at the popular Chile Pepper XC Festival in Arkansas. That's a fast course most of the time and the Brooks course should draw a pretty good parallel for Max and have him high up in the front pack. 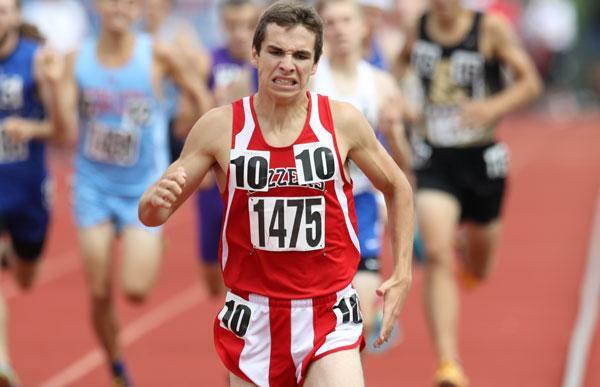 He is considered one of the best athletes in the state of Missouri, especially after he ran a 9:15 at the Class 4 state championships in the 3200 last season on the track. Max finished in 6ith place at this race in 2016 and with his credentials is really going to be hungry to get up higher on that list this Saturday. 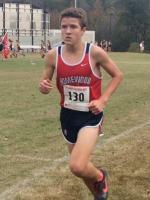 Homewood Alabama's Will Stone is a junior athlete with a very fast resume. He boasts a 1:58 in the 800, 4:21 in the 1600, 9:35 in the 300 and comes here with a top ten seed of 15:40.83 that he ran last year at the prestigious Jesse Owens Classic. Look for Will to be included with the pack at the very front of the race too. Davis Bove from Centennial HS in Columbus Ohio comes into this meet with some familiarity on the competition. He ran to a fourth place finish at the Voyles Classic last week just behind the Winders brothers. His 16:14.55 there was about twenty off his best 5K time but still an impressive run and a good experience for him to bring into the meet Saturday and see how much he improves in just a week's time. There is also an impressive group of Tennessee athletes entered in this meet. 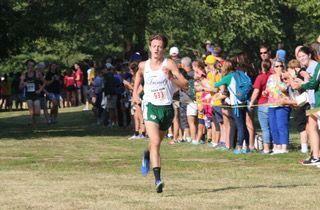 ackson Williams, a 16:28 5K runner from Bartlett could also be a top TN contender. 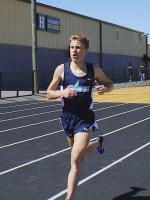 Jackson has a 1600 PR of 4:51.88 ran last season at the Briarcrest Saints Relays. He's fairly new at the sport and likely wants to improve on his 17:02 time at this meet from last year. And I'm sure Father Ryan's Jonathan Conricode will be thinking about being the top TN guy at this meet as well. Jonathan just ran a 10:16 sixth place finish at the Postal Nationals last weekend on the CBHS track that was his fastest 3200 in 2017. He should be strong coming into this meet but his teammate may be having a say in the outcome as well. Ryan Knapp ran the same Postal National last weekend and ended up runner up with a 10:00 flat time. But let me throw another wrench in the cog here as both these guys teammate, Joe Hoots did each of them one up by winning the same Postal National race in a personal best of 9:44.00! It seems Jonathan comes in with the best seed time but Joe has put some pressure on his teammates to perform in the longer distance this weekend. Should be an exciting race for the whole Father Ryan team. Dawson Reed of Siegel boasts a 16:20 for the cross country distance and has run a 9:38 for the 3200 so he might be one of the Tennessee athletes to cross the finish line. And speaking of the finish line, this race runs across a lot of the soccer fields at the Mike Rose complex which is challenging as it is. Then the final 600 or so meters brings the athletes into the main soccer stadium where the lights are on, the crowd is huge, and you immediately can see who is in front of you and if you have a kick, that's the time to bring it! 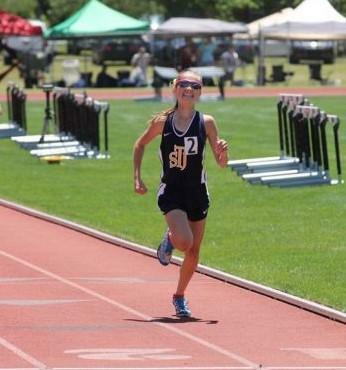 The girls high school race will be showcasing some talent and among them a duo of local girls. Ella Baran (Houston) ran this race one second faster than Erica to capture the runner up spot and the way Ella runs, she too is likely to want to get to the top here. This should be a good battle between these two top local athletes. But right there with them will be Skylar Boogerd of Arlington. Being Erica's teammate might just give these girls an edge as they likely can train together and at least know how to race well together. Skylar's best for the 5K is 18:28 but what might be a decisive advantage is the consistency in which she has improved over the last couple of years and the experience she's gained. These two local talents are certainly ones to watch and should all be in the top pack for sure. 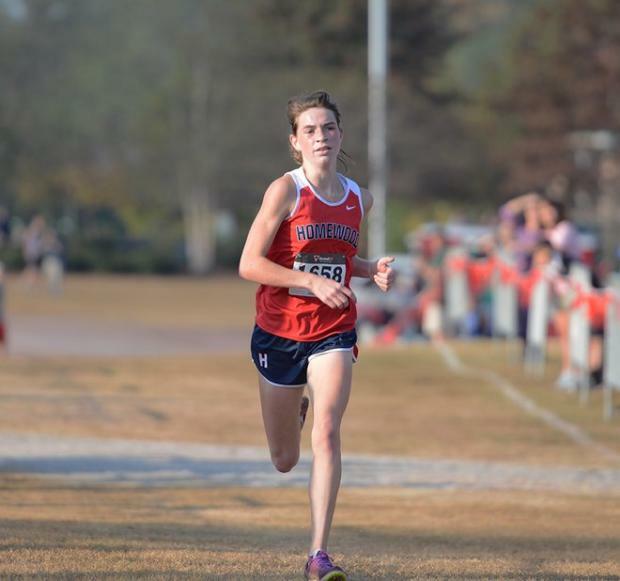 The top seed entering the Brooks Saturday is Homewood Alabama and 2016-2017 Alabama Gatorade cross country runner of the year Lainey Phelps. Lainey has a 17:42 best and is an Alabama State cross country champion and last year was the Alabama state 1600 champion. She has a swift 2:11 for the 800M, a 4:56 indoor 1600 and ran 11:00.52 in the 3200 on the track, so her leg speed is certainly not a question. If the local talent is going to win, they likely are going to have to figure out a way to get past this speedster from Alabama. Another Alabama speedster, this time from Saint James high school in Montgomery is Presley Miles. Presley has an 18:27.80 personal best in the 5K distance and has impressive times on the track. 2:15 for the 800 and a 5:06 mile and having a runner up finish in the Alabama State XC championships puts this athlete on the list of serious contenders in this meet. Grain Valley High's Mariah Lister enters the meet as a 6th seed with her best of 18:34.03. She was injured later in the 2016 season but has recovered nicely and is ready to get in a good run this Saturday. This Missouri athlete seems to be faster as the distance gets longer so she should feel right at home on this course. She runs a 2:21 for the track 800, a 5:04 in the 1600 and 11:22 in the 3200 and so those look like a good progression as the distance stretches out. 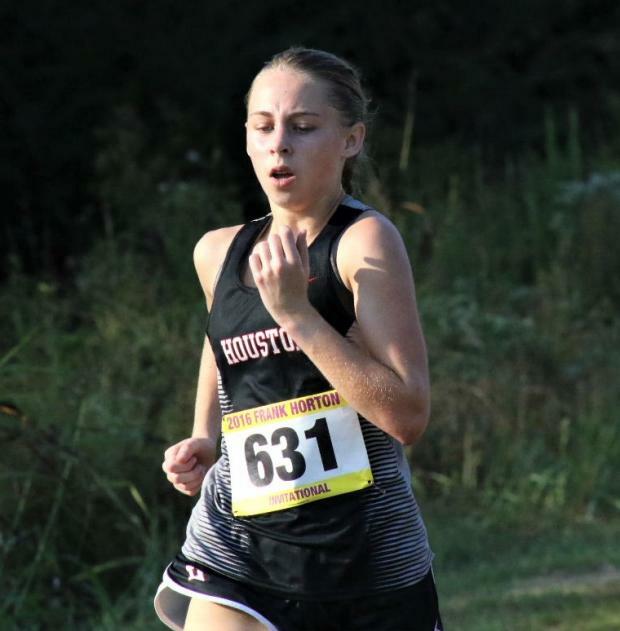 A few other sub 19 runners to keep an eye on and that likely will be right there by the front pack would include Karlee Hoffman (Davies County Kentucky, 18:35.06) who also has a fast 3200 with a Kentucky State meet bronze in a fast 11:22.61. Alabama's Amelia Brady of Hewitt-Trussville High doesn't have the packed meets on her resume but still has a fast 18:50 seed that is notable. The last two girls coming in with sub 19 seeds include Sydney Runyan and Kaylee Wilson. Sydney Runyan of Etowah Georgia is a class of 2020 member and has a huge resume of some very strong races. In 2015, she ran an 11:27.92 3200 at the Hoka one in Knoxville and that was the last time she posted a time in that distance. So far this season, she started out last week at the Ridge Ferry Invitational with a 19:37 which isn't near her best but it at least got her legs going in the competition. She competed at the Foot Locker South Regional and top 20 in the George state meet last year. I think this meet will suite her talents very well and so I'd keep an eye on her Saturday. 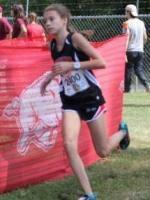 Kaylee Wilson of Jackson High in Jackson Missouri squeaks in on a seed time just under 19 with an 18:59.00. Her 60 flat 400 and 2:23 800 could be a factor at the end of the race for this Missouri athlete. 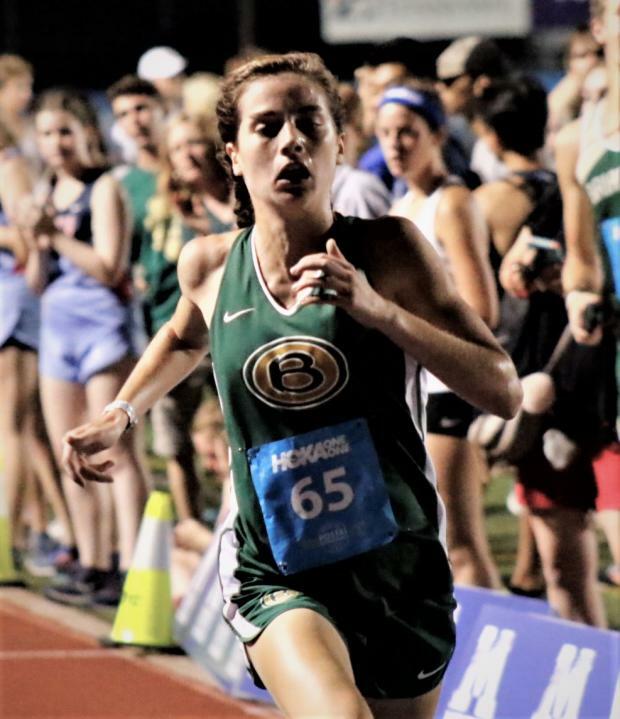 A couple of wildcards to keep an eye on might just be Briarcrest Christian's Meghan Underwood who last week ran the Hoka Postal Nationals 3200 in a very inspiring 11:04 to capture the win at that meet. She's the 800M state champion and has a kick that is second to none, so should she be near the front in the last half mile or so, I would not count her out either. Grace Ellsworth of Power Spring Georgia might also be a strong wild card as she comes in with a 19:10 for the 5K, but has a 5:09 for the 1600 and 3200 best of 11:22. Those times look like her 5K time may drop quickly at any time now, and the Brooks is likely one of the best venues to do that task! The girl's team competition might just be a nail bitter between Davies County and Homewood High for the top spot. Lainey is going to be the clear leader for the Homewood team and Karlee for the Davies County but their teammates behind them will be having some tight battles to get their team into the lead. Number two runner for Davies County, Kate Rhoads (19:21) may be in a battle to stay ahead of number two for Homewood, Celie Jackson (19:23). Their race might set the tone, but five score in this cross county event so the rest of the teams will need to really keep their pace. Overall these two teams are the ones to watch in the lead, but the third thru fifth spot looks tight between Hillgrove, Parkway West and Pearl. The best TN team this year might just be Houston with Ella Baran and Anna Tankersley. Arlington with Skylar Boogerd leading the way for these girls might also surprise but with Erica Fisher moving to Florida, that leaves a big gap to fill but one I think this team is up for. Please check out Flo Sports for a preview of the College entries and if you're in the Memphis area Saturday, come on by and watch this fantastic cross country event! Click here for the preview. So that's the 2017 Preview edition of the Brooks Twilight Classic presented by the Christian Brothers University. Every year I have to compliment this meet, the organizers and the volunteers as they outdo all expectations at putting on one, if not the best, cross country meet in the area. The growth of the meet extends easily to the growth of the sport of Cross Country and Track & Field! And it's the likes of Coach Bill Hoffman and the Christian Brothers University that help make this sport grow with events of this caliber! Thanks Bill and CBU! !